BMW: in check control message or instrument cluster, a failure with power assisted steering is illuminated, due to software related issues. BMW: running noises heard when brakes are applied, with high brake loads; through wheel opening, visible cracks can be seen in brake discs and steering wheel torsional vibrates when applying brakes. BMW: malfunction warning light for engine is illuminated due to purge air system micro leakage and ventilation of fuel tank from contamination. BMW: some vehicles may experience a failure of electronic power steering (eps) when engine has started, caused by a specific situation of undervoltage during engine start up. model 2010-2012 f30 (3 series). BMW: a failure of the turbocharger wastegates, caused by a defect, has an emissions extended warranty, 8 years or 82,000 miles, whichever comes first, not otherwise falling within coverage exclusion. BMW: experiencing loss of engine power, service engine soon lamp is illuminated, a noise, like rattling, coming from engine compartment. updated 10/31/12. models 2010 e70, 71, 82, 88, 90, 92, 93, f07, 10, 12, 13, 25. BMW: the evaporative system leakage is found, when using the nvld tank leakage test plan. updated 1/18/13. BMW: on some vehicles, the high pressure fuel pump has an internal component that may fail and causing drivability symptoms such as erratic engine operation and longer starting times. BMW: service engine soon light is on and the engine has reduced power with trouble codes stored. updated on 4/24/2013. BMW: service engine soon light is on with a fault code stored. internal dmtl pump failure. BMW: service engine soon light is on with stored trouble codes. BMW: loss of performance and turbocharger noise due to the oil supply restricted, causing oil starvation and resulting in the seizing of the turbocharger assembly. updated 7/09/13. updated 9/25/15. BMW: the service engine soon light is on. there are trouble codes stored for the crankshaft sensor. no driveability issues. BMW: a grinding noise is coming from the differential during slow cornering. when turning a slip/stick effect is created on the lining and steel discs incorporated in the differential clutch causes a grinding noise. BMW service campaign: see document search button for owner letter. there may be a problem with the fuel pump which could not meet emissions requirements. there may be a long crank and a service engine soon light. BMW: crankcase pressure diagnosis and information for all vehicles. updated on 4/24/2013. BMW: an intkae manifold linkage rod problem is causing the service engine soon light to come on with a stored trouble code. BMW: there is protective covering missing from the selective catalyst reduction line. BMW: information on a new automatic start/stop function. BMW: there may be excessive cranking before the vehicle starts. the service engine soon light may also be on with a lack of engine power. BMW: there are high fuel pressure faults stored due to a software error. BMW: on low mileage vehicles the engine runs rough, mifires, or fails to crank. this is caused by multiple short start-ups without the engine properly going through a warm-up phase. BMW: there is a clanking noise from the engine or exhaust area. wastegate valve is not completely closing and clanking. updated 7/17/12. BMW: immediately after a cold start if electronic components are turned on such as heated seats it may switch off after 5-10 seconds because of a voltage level dip. BMW: the vent hole of the cooling hose coupling on the drivers side of the radiator may be blocked. there is a procedure for checking and fixing the problem. BMW: there is an extraction and refilling process for the desiel exhaust fluid. e70 and e90 models. BMW: the service engine soon light is on due to faults with a filter in the exhaust system. BMW: some models equipped with the n54 engine may have an excessive crank time before starting. BMW: BMW: there is a software error that is causing the service engine soon light to illuminate without a fault code. BMW: six different models equipped with the m54 engine could have valve covers break in cold weather and ruin the engine. this is due to moisture accumulation. BMW: warning message on about low diesel exhaust fuel level and that the engine will not restart within 999 miles. the light comes on a few thousand miles earlier than a recommended oil change. BMW: there is a rough engine idle and "service engine soon light" when driving downhill in high altitudes during cold weather. there may be six different fault codes. 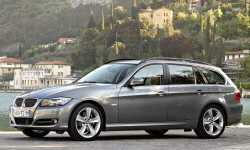 BMW: service engine soon light is on with diesel engines. BMW: it is now possible to perform a fuel quality detection test on vehicles with an n54 engine. BMW: a new technical process has been created for BMW to identify causes of steering complaints with a wide range of models. BMW: service action for diesel engine. replace charge air temperature sensor. reprogram control units (dde). refer to si b130410 and si b130310. affects e70 and e90 vehicles. no model years listed. BMW: program control units. vehicles with m57y diesel engine. service engine soon lamp (mil) is illuminated erroneously. dde software error. BMW: fuel level sensor repair procedure. the case where it is necessary to replace the right side fuel level sensor due to a failure, the entire pump and housing does not need to be replaced. no model years listed. BMW: the service engine soon light may be on with the vehicle running rough and internal misfire codes. this is an ignition coil problem. 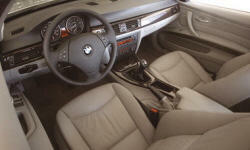 BMW: a new technical support process has been created regarding transmission concerns. BMW: there is a software problem with the dual clutch transmission module. data can't be read from the module's memory. updated 8/10/11. BMW: gears may be shifting harsh due to arm bearing shafts in the transmission. The transmission warning light is on and the vehicle will not move forward or backwards. engine speed only increases while in neutral or park. updated on 5/1/2012. BMW: a fault for oil wear is stored in the memory, but it does not illuminate the warning lamp. BMW: a new technical process is being used on many models to determine the root cause of double-clutch transmission problems. BMW vehicles: dsc disabling function. dsc off function has been implemented in m5 and m6 vehicles equipped with the optional 6 speed manual transmissions. no model years listed. BMW: on some vehicles, when starting, low beam, with 0552 option, would briefly flashes, due to a faulty led main light module that needs replacing. model 2008-14 f01, f02, f06, f07, f10, f12, f13, f25. BMW: when using iphone, various connectivity failures occur, such as disconnection of call, list of contacts incomplete, due to the variants and software used. model 2008-2014. BMW: warning lamps are illuminated for the dsc, abs and brake and a possible warning in control display for chassis control system failure. models 2012 f25, 30, 01, 02, 07, 10, 12, 13, e70, 71, 84. BMW: battery has an increased demand due to developemental process of the electrical system. this is causing the batter to need to undergo an energy diagnosis. BMW: in rear of vehicle, various electrical faults are due to rem (rear electronic module) not responding to diagnosis. models 2011-2012 3 series. updated 7/10/13. BMW: on certain vehicles, the jbe (junction box electronics) module fails programming during a software update of the vehicle. BMW: the dial face of the speedometer may become detached at the edge. it affects the illumination of the speedometer, but not the function. BMW: the rear led lights are inoperative. there is connection corrosion in the tail lamp. BMW: various functions in the vehicle are not working including: instruments, door locks, wipers, and other electrical functions. there may also be warning lights on. k-can wiring in the vehicle shorted. updated 10/5/11. BMW: a software error is causing the the service engine soon light to come on. there will be stored trouble codes. BMW: poor electrical connections are causing the instrument cluster to show the doors are open while driving even though they are closed. BMW: the driver¿s side adaptive headlight moves to the full left stop when the engine is started. BMW: wiring on the headlights may have deteriorated due to environmental conditions and the cover not being secured properly. e60/e92. updated 9/30/11. BMW: the service engine soon light is on while driving. this is a programming issue. updated 1/4/12. updated 4/24/12. BMW: the service engine light is on with stored fault codes. there is a wiring/connection problem or a faulty sensor. BMW: double clutch transmission is enterring emergency mode and some gears can't be selected. this is a software problem. BMW: the front seat heater activates on its own because of defective wiring contacts. BMW: the airbag warning lamp is illuminated due to a software error. BMW: service engine soon light is on. the vehicle lost power and the engine cranks with no start. updated 5/19/15. BMW: operating description of the passenger airbag status light. BMW: procedure for determining and replacing incandescent and halogen light bulbs under warranty. BMW: a service engine soon light comes on. the engine will only operate to 1500 rpms and lacks power. there is a software application error. BMW: improper routing of the bowden cable causes the driver or passenger front door not to open occasionally when temperature is below 37 degrees. BMW: on certain vehicles, an emissions warranty has been extended to 8 years/82,00 miles on engine turbocharger wastegate. models 2008-2010 e60, e61, e71, e82, e88, and 2009-2010 e89, and 2007-2010 e90, e92, e93. BMW: the door cannot be locked or unlocked when using the key or key remote. lubrication of the door can cause defects. BMW: the painted surface on the interior door handle may peel due to exposure to hand creams and sun-tanning lotions. BMW: on some e92 models the safety belt extender is not extending the belt or is noisy. this can be a fault of the extender or the belt is contorted. BMW: the tailgate opens slower in low temperatures and doesnt fully open. BMW: on e91 models the instructions for repairing/removing the tailgate hinge has been revised. BMW: there can be vibration in the engine while driving at various speeds due to engine mount bracket bolts. BMW: tire warning light illuminated due to low ambient temperature. model e90, e91(3 series);e92, e92 (3 series); e60 (5 series); e60 (m5); e63, e64 (6 series); e63, e64 (m6); e65, e66 (7 series); e70 (x5); e83 (x3); and e85, e86 (z4).